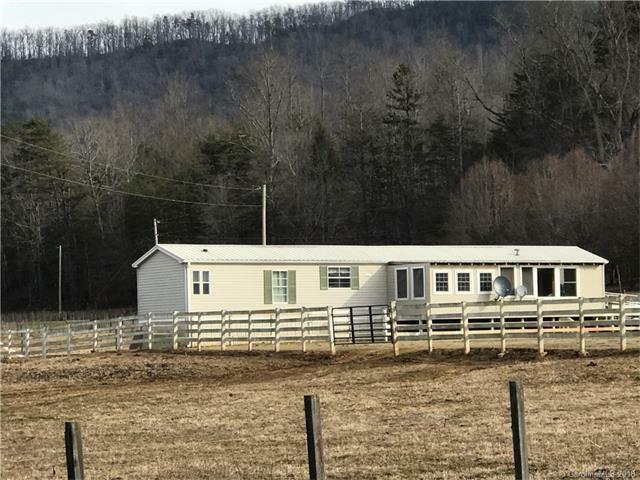 Back on the Market---MIMI FARM: 181 Ashe Bridge Rd- This property includes a 5 stall barn, shop area has concrete floor, fenced riding arena, level fenced pasture, multiple hydrants in yard and barn, not restricted, land joins creek, a well in the pasture for animals, Home has everything needed to run a mini farm, home is handicap accessible with 3 bedrooms and 2 bathrooms. There is a covered front porch that runs the length of the home. Master bedroom has a large master bath with soaking tub, and walk-in closet. Kitchen has plenty of cabinets. In the back yard sellers have had raised gardens in the spring. There is no carport but you could park in the barn stall closest to the house. The pasture is in a flood zone. Sold by Joanne Howle Realty.